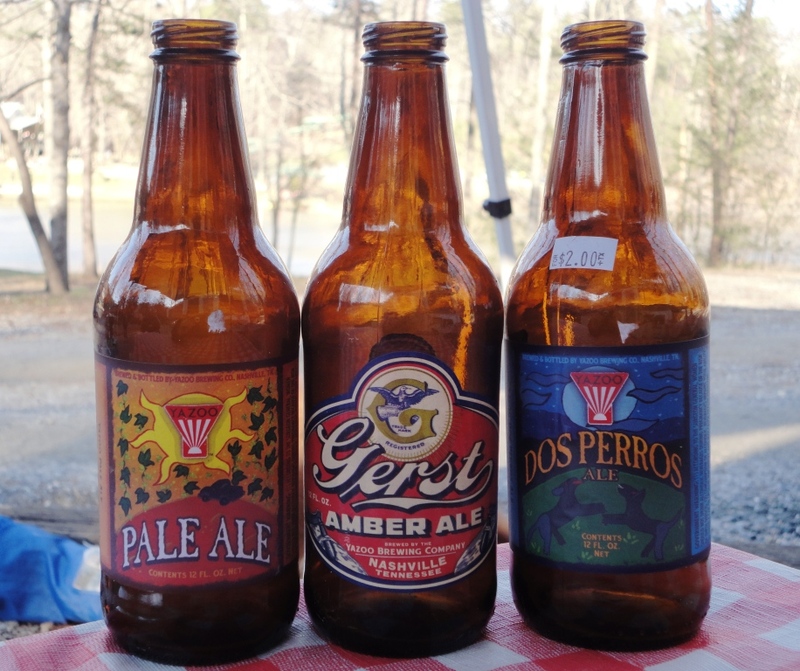 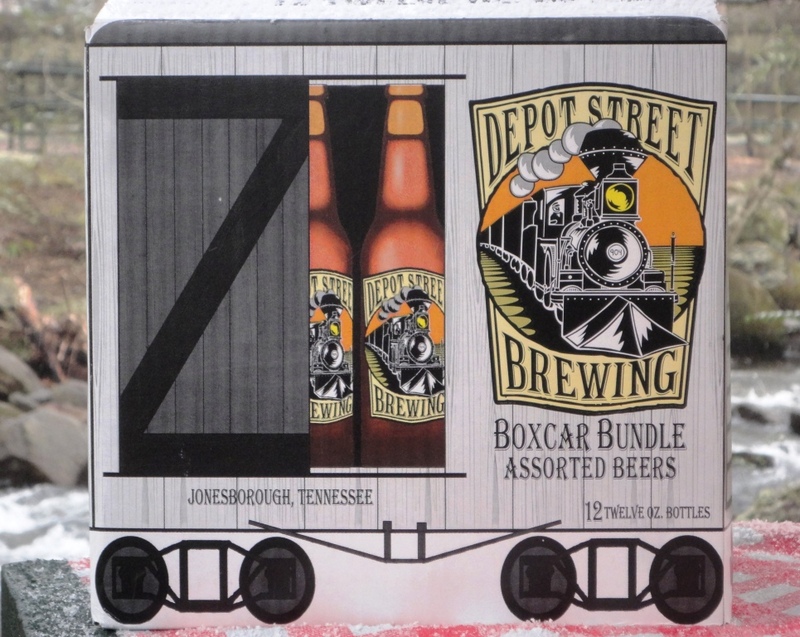 Continuing the beer travelogue of my Spring Break road trip through the heart of Appalachia — eastern Tennessee and western North Carolina. 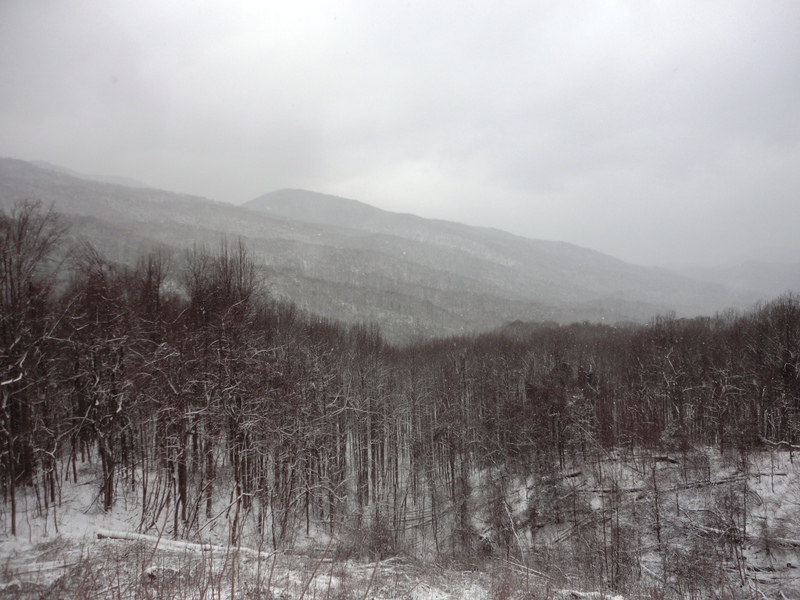 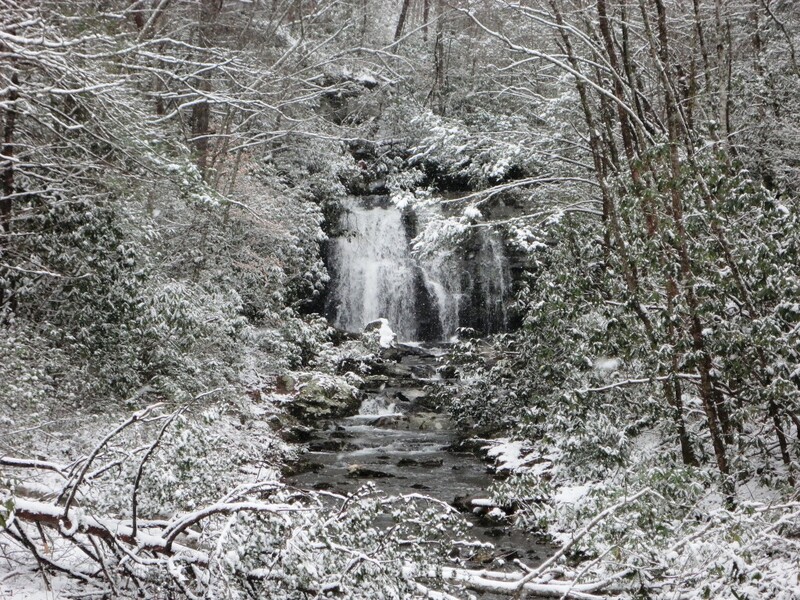 Spring Break 2013 didn’t offer typical Spring Break weather – it snowed! 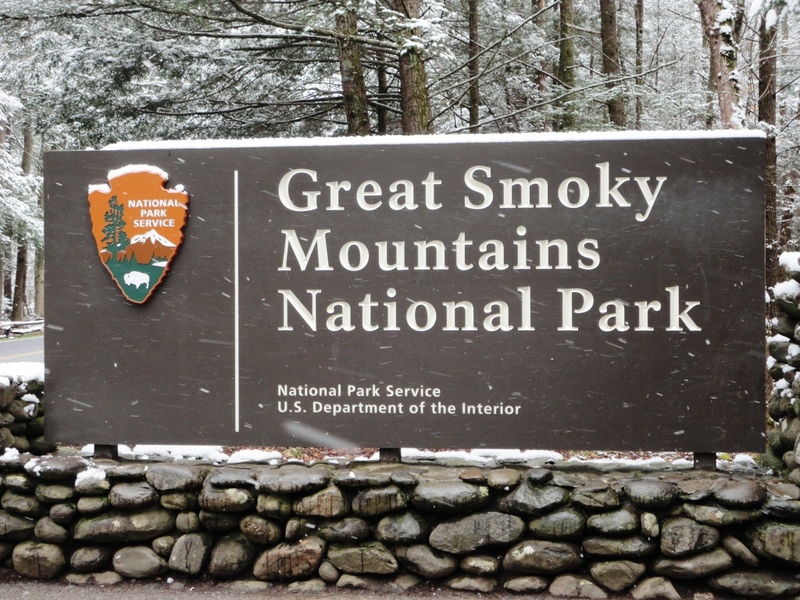 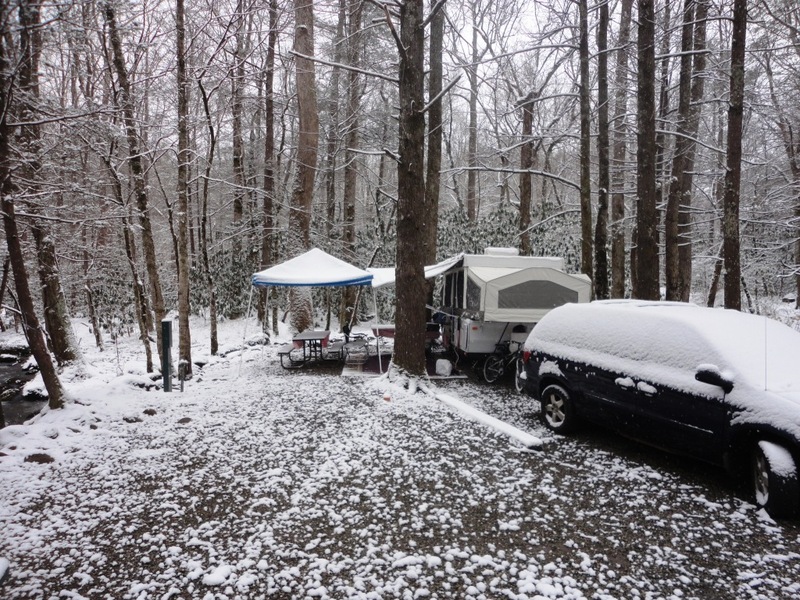 Despite the winter weather, we enjoyed our four-night camp-out near Gatlinburg, Tennessee and the entrance to Great Smoky Mountains National Park. 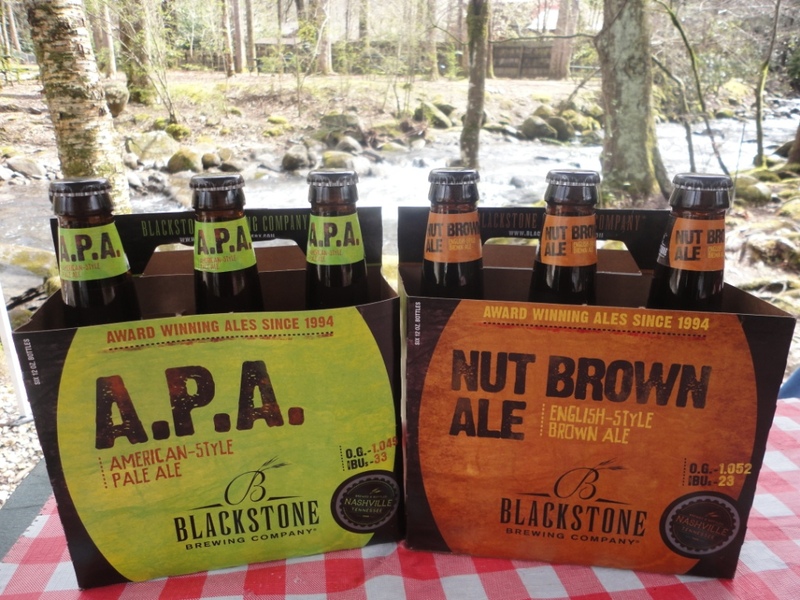 When we weren’t admiring the beautiful snow-swept mountains or listening to the rushing mountain stream as we sat by the campfire, we stayed warm and cozy inside our trusty pop-up with local Tennessee brew.